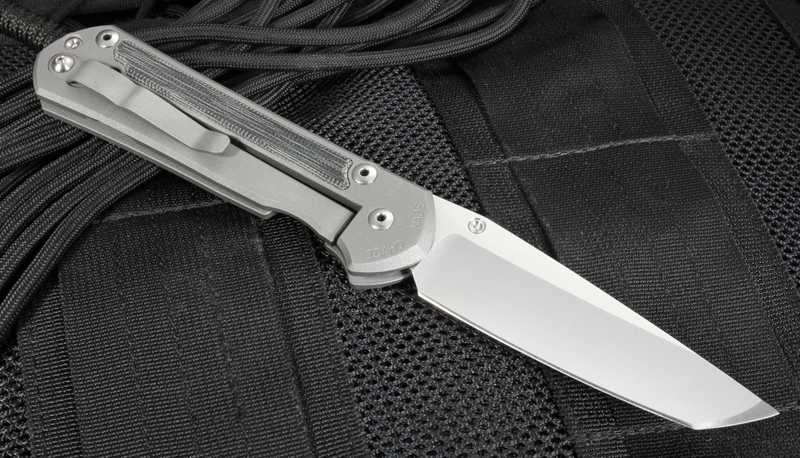 The large Sebenza 21 with tanto blade is the knife you have been looking for all these years. The Zulus were some of the fiercest warriors the world has ever known. Taking on the might of the British army, with only hide shields and shortened spears, these world-renowned fighters earned their place in the history books for knowing their way around a blade. "Sebenza" comes from the Zulu for "work." Chris Reeve, a genius in knife creation and design hails from South Africa, and putting this design to "work" pays him a much-deserved compliment. 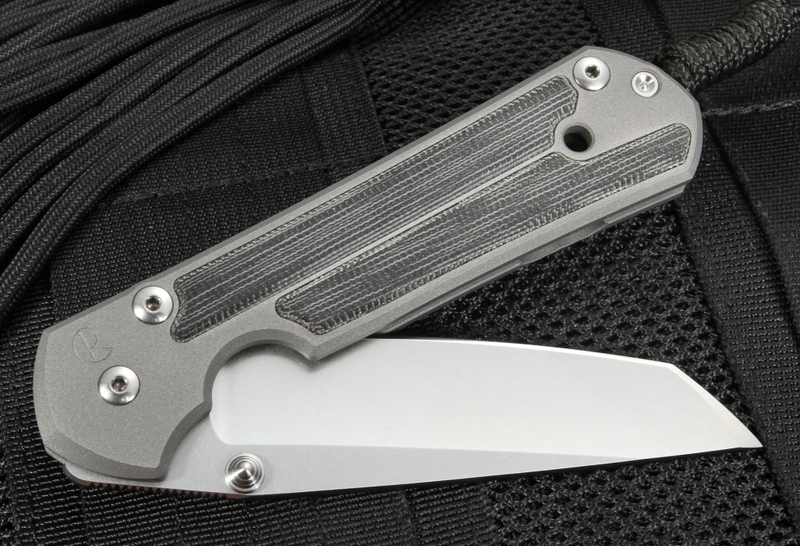 So does the Chris Reeve Large Sebenza 21 Tanto - Micarta Inlay Folding Knife. 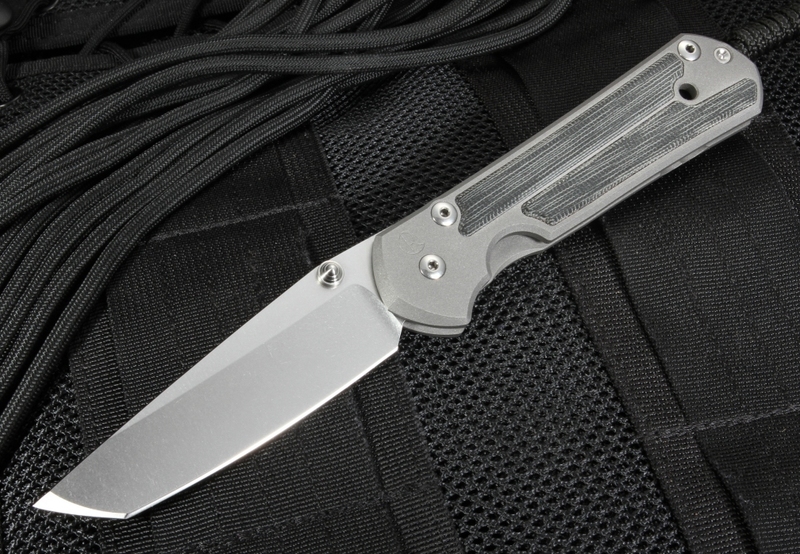 Blending the Reeve Integral Lock device--designed by Mr. Reeve himself--with the simplicity and functionality of a Japanese-inspired tanto-blade, you have a knife that meets not only the aesthetic requirements worthy of a Chris Reeve blade but also the utilitarian needs as well. The tanto blade provides a reinforced tip, combined with the hollow-ground main edge to ensure the ability to withstand high-powered impacts and the ability to puncture. The hollow-ground S35-VN steel blade is hard enough to endure the punishment, yet soft enough to maintain a razor-honed edge. Quick one-handed deployment of the blade is easy, controlled opening, and just gets smoother with time and use. 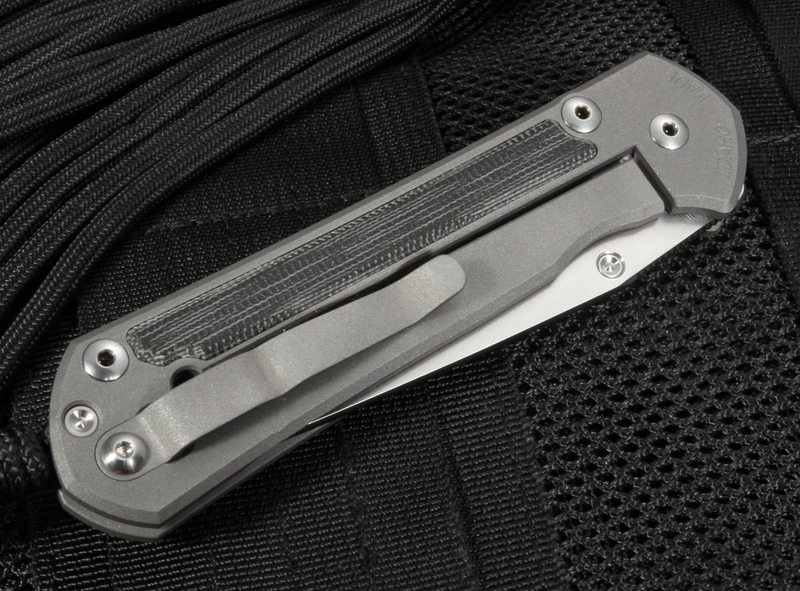 The blasted titanium handle cuts down on the weight in your pocket at a very thin .53", while giving it the strength you need for everyday work. Yet being so light, you might forget it's even there until you need it. The 4.7" micarta handle is a perfect fit for the hand, beefy, but light weight to give you the ultimate in precision and control with cutting and thrusting power. This design incorporates strength, sharpness, and grip to culminate into a truly a perfect combination for a tactical knife. 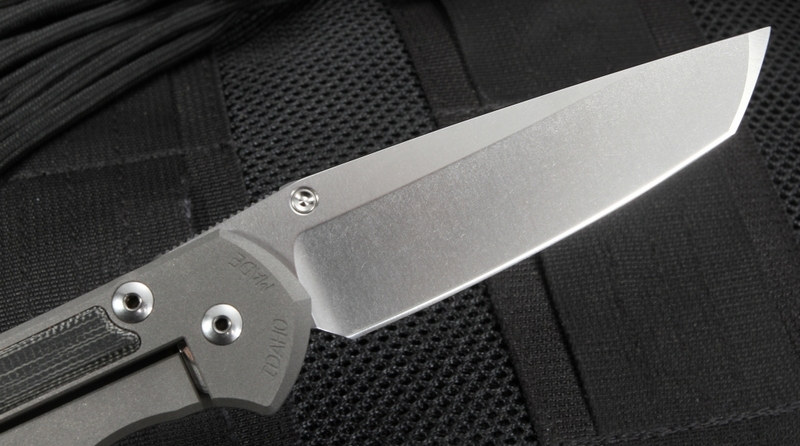 When you mean business, the knife folds out to a whopping 8.335" with a 3.625" blade! When it comes to form and function, Chris Reeve Knives are taking the world by storm. Winner of the most prestigious awards in the business. Crafted in Idaho of performance materials with precision. The name Chris Reeve is the moniker of superiority. Why spend this much on a pocket knife? When something is worth every penny, you won't even notice the price. These knives were made to outlast their owners, and then some. These knives are heirloom quality, but you won't be afraid to put them to work.